When you create a default project in Visual Studio, there are a couple of references and assemblies that get added by default. Just create any new Window, Web, Console or Silverlight project using Visual Studio and check the using directives (only in C# templates) as well as the assemblies that get added. Similarly if you are using a VB template, you can use the References Property page to remove unused references from the project. To do so, right click the VB project > Properties or use shortcut Alt+Enter. Select the ‘References’ tab and click on the ‘Unused References’ button. Click on the Remove button to remove the references not needed. Suprotim Agarwal, Developer Technologies MVP (Microsoft Most Valuable Professional) is the founder and contributor for DevCurry, DotNetCurry and SQLServerCurry. He is the Chief Editor of a Developer Magazine called DNC Magazine. 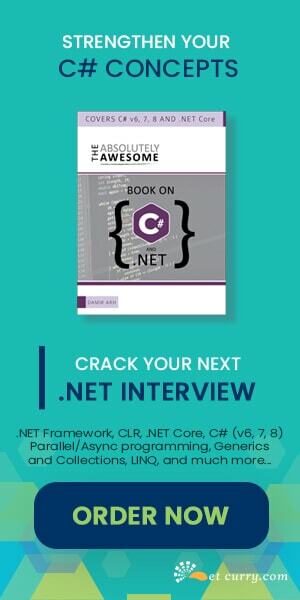 He has also authored two Books - 51 Recipes using jQuery with ASP.NET Controls. 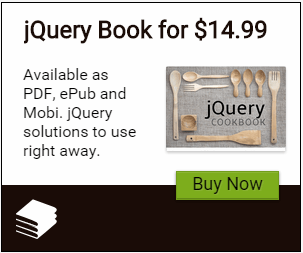 and The Absolutely Awesome jQuery CookBook. Follow him on twitter @suprotimagarwal. Thanks a lot! Nice tool! Nice article. Just wondering any benefit by removing unused references?